Becoming an Officer in Indian Armed Forces is the dream of every young, dynamic and educated individual who aspire to live for his country.Being an Officer one is faced with several challenge that makes an individual to think on its own two feets.The lifestyle of an office is envy of many.It gives an opportunity for an individual to interact with different cultures and thus it inculcates basic values of leadership, organisational skills, courage and self respect in a person who would not want to live his life any other way. Union Public Service Commision invites application twice in a year through National Defence Academy Examination as well as Combined Defence Services Examination for various age groups and educational qualification. This examination holds the key for a candidate to enter National Defence Academy.The entrance exam is conducted by Union Public Service Commission, New Delhi, twice a year. The Union Public Service Commission is solely responsible for issuing guidelines for selection and the final conduct of the entrance examination. To join Air Force Academy, Indian Military Academy, Naval Academy and Officers Trainning Academy after graduation a candidate must appear in the entrance exam conducted by Union Public Service Commission for Permanent and Short Service Comission, New Delhi, twice a year. The Union Public Service Commission is solely responsible for issuing guidelines for selection and the final conduct of the entrance examination. For technical branches there is a University Entry Scheme, women special entry scheme, National Cadet Corps (NCC) special entry scheme,ACC entry for alreadry serving servicemen, recruitment is made directly through the Recruiting Directorate for the Indian Army. The Army offers comission in form of Permanent and Short Service Commissions. Permanent commission (PC) is obliged through the Indian Military Academy,Dehradun and Short Service Commission (SSC) is obliged through Officers Training Academy,Chennai. When one opts for Permanent commission, one is looking at a permanent career in the Army, a career till one retires. Short Service Commission is a good option for all those who aspire to serve it for few years. It gives one the option of joining the Army. Once the tenure is over, one is allowed to opt for Permanent Comission. Alternatively, one can also ask for a five years extension and can choose to resign from ones post any time during this period. For technical branches there is a University Entry Scheme, women special entry scheme, National Cadet Corps (NCC) special entry scheme, ACC entry for alreadry serving servicemen,recruitment is made directly through the Recruiting Directorate for the Indian Air Force. 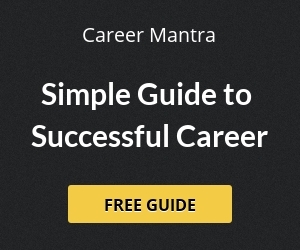 For technical branches there is a University Entry Scheme, women special entry scheme, National Cadet Corps (NCC) special entry scheme,ACC entry for alreadry serving servicemen,recruitment is made directly through the Recruiting Directorate for the Indian Navy. This is the second phase of selection procedure that one must comply if one wants to be the officer in Indian Defence Forces, it is the Personality and Intelligence test that spreads over 5 days which scientifically analyses each candidate’s calibre and compatibility for Armed Forces of India. 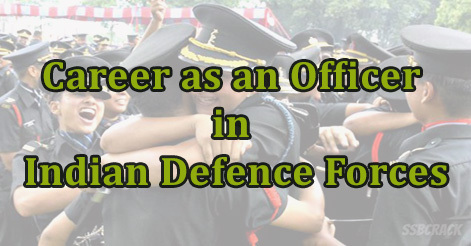 Help us to improve this article/job posting "Career as an Officer in Indian Defence Forces". We would be glad if you can comment below and provide your valuable suggestions and feedback. If this page have any wrong information/list or out of context content, then you can report us as well. SIR I AM SURAJ SINGH. MAI INDIAN DEFFENCE OFFICER BANANA CHAHATA HU LEKIN CRTFCT PAR MERI UMR JYADA HO GAYI HAI MAINE BAHUT KOSHISH KIYA USE KAM KARWANE KAA LEKIN NAHI HO RAHA HAI MUJHE ABHI TAK EK BHI CHANCE NAHI MILA INDIAN DEFFENCE OFFICER KE EXAM DENE KAA I WANT ONLY ONE CHANCE TO GIVE THE EXAM PLEASE HELP ME. I WILL THANKFUL YOUR FOR THIS.